This violence goes against Jerusalem’s vocation as a holy city, which should be open to all people of faith, he said. 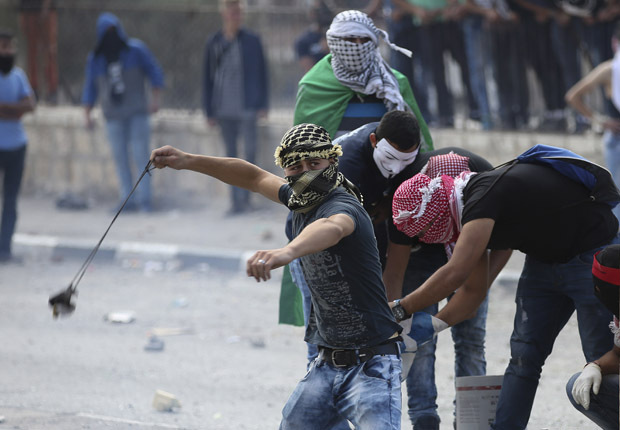 The fighting began following the late-September visit of Israeli Agricultural Minister Uri Ariel to one of the smallest contested spots on earth — a 36-acre compound known by Muslims as the Haram al-Sharif and by Jews as the Temple Mount. The Israeli minister’s visit stirred controversy after he used the opportunity to say a blessing for the Jewish new year. Today, the Al-Aqsa mosque and the Dome of the Rock stand on the spot, which is the third-holiest site for Muslims, who believe their prophet Muhammad ascended to heaven on a white stallion from this spot. However, this site is also revered as the holiest site in Judaism, as the place where the two Jewish biblical temples stood. Here Jews believe Abraham was called upon by God to sacrifice his son Isaac; Muslims believe it was his son with Hagar, Ishmael, whom Ibrahim — as Abraham is known by Muslims — was asked to sacrifice. Christians also believe the site to be holy as the place where Mary and Joseph took the infant Jesus for the traditional Jewish ceremonial redemption of the firstborn and where Jesus returned numerous times to teach and preach. A tenuous status quo agreement has been in place since 1967, when Israel gained control of the site from Jordan. The Islamic Waqf Authority, under the Jordanian king, controls the area, while Israeli security forces have control over the entrances to the compound. Neither Christian nor Jewish prayer is allowed on the site, though members of both faiths are permitted to visit during visiting hours reserved for non-Muslims. Jewish worshippers pray below at the Western Wall, which was a retaining wall for Herod’s Second Temple on the platform above. The new wave of violence is taking place in the wake of rumors that Israel plans to change the established status quo and take over the compound — a charge the Israeli government denies. The tensions have been fueled by continuing visits of ultra-religious Jews who attempt to pray at the site. A group of Palestinian women have been harassing Jews visiting the compound and were banned from entering it in September. Holy Cross Father Russ McDougall, rector of Tantur Ecumenical Institute, noted that, unlike Christian theology, both Judaism and Islam share the concept of having sovereignty over a holy place. Still, he added, though the spark that ignited this round of violence was the conflict over the holy site, it is also the result of pent-up Palestinian frustration at both Israeli policies and Palestinian corruption. 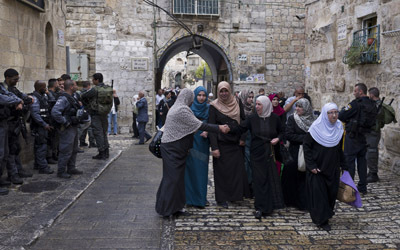 Mustafa Abu Sway, associate professor of philosophy and Islamic studies at Al-Quds University and a lecturer on Islam at the Tantur institute, said Israel began changing the status quo after the second intifada by allowing large groups of Israeli settlers into the compound. He said that, before that time, there were no problems with visitors to the site. “There are no prayers there — whether Christian or Jewish,” he said. For Muslims, the entire compound is considered to be the Al-Aqsa mosque, he said. “It is a mosque there for 1,400 years. When you go visit any place you are expected to behave according to the rules. I have the utmost respect for anyone as long as they recognize it is a mosque and will continue to be a mosque. There is no partnership, no sharing. “Those Jews trying to pray at the compound do not really reflect the Israeli side in terms of their actions,” he added. In Judaism, one of the basic definitions of holiness is that the holy not be touched or entered, noted Tomer Persico, a research fellow at the Shalom Hartman Institute. Orthodox rabbinical convention holds that Jews are not permitted to enter the Temple Mount compound. Persico said the change came when, in 1996, a group of rabbis from the settlements, fearing that the Oslo peace accords would force Israel into relinquishing control over the site and over East Jerusalem, decreed Jews were allowed to ascend to the Temple Mount. Until then, he said, most Jews visiting the Temple Mount were secular and went as tourists. 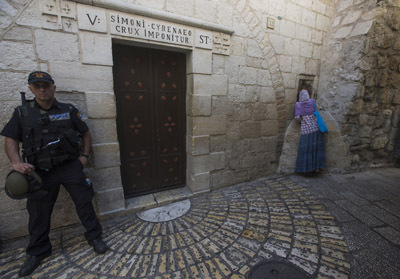 Those religious Jews wanting to go up to pray were seen as eccentric, he said. 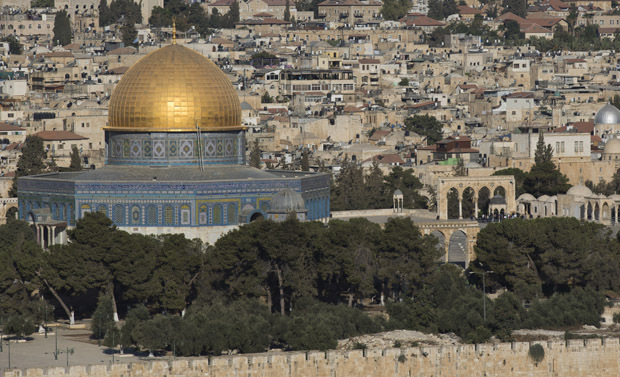 “The Temple Mount has come to symbolize a national focal point in which the fate of the whole Jewish sovereignty of the Land of Israel is to be decided,” said Persico. A parallel process has occurred for Muslims over the past 20 years, he said, and the compound has become first and foremost a symbol of nationalism, with the Al-Aqsa mosque coming to define Palestinian identity as Arabs. Rabbi Ada Zavidov, who leads the Reform Har’el Congregation located in downtown Jerusalem, not far from the Old City, noted that the Temple Mount is Judaism’s only holy place. The angel of the Lord, (helped) keep Abraham’s son alive, thereby giving peace to Abraham and his family. It should be a place of Peace, not war.